The Eagle Ford Shale rig count fell this week to 113 rigs running across our coverage area as crude prices continue to fall. In recent Eagle Ford news, the Commerce Department has given permission for a limited amount of oil to be exported to Mexico. The agency approved an application from Pemex, Mexico’s national oil company, that would allow for the U.S. to exchange our light crude for Mexico’s heavy crude. 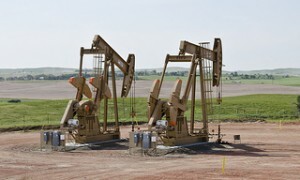 The U.S. rig count increased by one, ending with 885 rigs running by midday Friday. A total of 211 rigs were targeting natural gas (the same as the previous week) and 674 were targeting oil in the U.S. (two more than the previous week). The remainder were drilling service wells (e.g. disposal wells, injection wells, etc. )383 of the rigs active in the U.S. were running in Texas. Natural gas rigs in the Eagle Ford increased to 22 this week and natural gas prices traded at $2.68/mmbtu, a $.13 decrease from the previous week. The oil rig count was at 91 as WTI oil prices dropped again to $40.45, a decrease of $1.68. A total of 102 rigs are drilling horizontal wells, one are drilling directional wells, and 10 are vertical rigs. Karnes County continues to lead development this week running 21 rigs, with DeWitt (17), following closely behind. See the full list below in the Eagle Ford Shale Drilling by County below. Is it “Doomsday” in the Eagle Ford?